Steven M. Paul, M.D., is Chief Executive Officer of Voyager Therapeutics and has more than 35 years of neuroscience expertise and an extensive track record in CNS drug discovery and development. He previously served as a Venture Partner at Third Rock Ventures, where he helped to lead the ideation and development of new companies, including Voyager Therapeutics, where he served as Interim President of R&D since the company’s formation in February 2014. Dr. Paul is an adjunct professor of psychiatry and neurology at the Washington University of St. Louis School of Medicine. Dr. Paul also served as the Founding Director of the Helen and Robert Appel Alzheimer’s Disease Research Institute and Professor of Neuroscience, Psychiatry and Pharmacology at Weill Cornell Medical College. 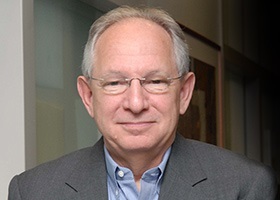 He was formerly the Executive Vice President of Science and Technology and President of the Lilly Research Laboratories (LRL) of Eli Lilly and Company. Prior to assuming his positions at Lilly and Weill Cornell Medical College, Dr. Paul served as Scientific Director of the National Institute of Mental Health (NIMH/NIH) in Bethesda, Maryland. Dr. Paul is a member of various professional and honorary societies, which include Phi Eta Sigma; Alpha Epsilon Delta; Sigma Xi; Phi Beta Kappa; and the Alpha Omega Alpha Honorary Medical Society. He is the recipient of many honors and scientific recognitions, including: The Distinguished Service Medal of the USPHS and the Chief Scientific Officer of the Year Award. In 1997, Dr. Paul was elected to membership in the Institute of Medicine (IOM) of the National Academy of Sciences and currently serves on the IOM’s Board on Health Sciences Policy. In 2009 Dr. Paul was elected a Fellow of the American Association for the Advancement of Science (AAAS). Dr. Paul has authored or co-authored over 500 papers and invited book chapters and was listed as one of the most highly cited scientists in the world (top 50 in Neuroscience) (1980-2000) by the Institute for Scientific Information (I.S.I. ), Philadelphia, Pennsylvania. He holds 9 patents on inventions made both at NIH and Lilly. His current work has focused on the role of apoE in the pathogenesis of Alzheimer’s disease.